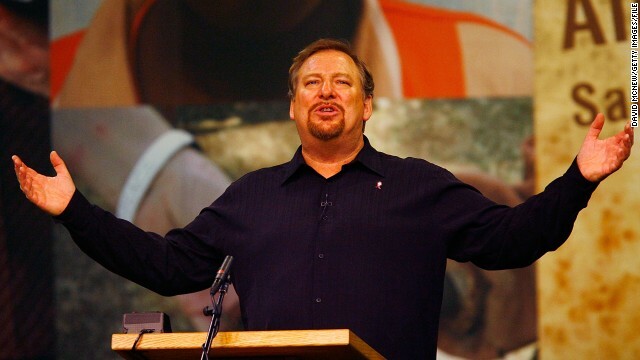 Rick Warren is the founder and senior pastor of Saddleback Church, an evangelical megachurch located in Lake Forest, California, currently the eighth-largest church in the United States. His book, The Purpose Driven Church, spawned a series of conferences on Christian ministry and evangelism. He is perhaps best known for the subsequent devotional, The Purpose Driven Life, which has sold over 30 million copies. Cited as the father of the Emergent Church Movement. A strong advocate of contemplative prayer, and encourages pastors to use Centering and Breath Prayers. Signed on to “A Common Word Between Us” that seeks common ground between Muslims and Christians. Gave the invocation at the presidential inauguration in January 2009, praying to Isa of the Qur’an along with Jesus. New Age proponent Leonard Sweet, who calls himself an emergent church leader, trained many of Warren’s church leaders and pastors at the 2008 Saddleback Small Groups Conference. Uses The Message paraphrase of the Bible for much of his writings. Promoted on the “speakers corner” of the Islamic Society of North America, an arm of the Muslim Brotherhood and a financier of the Hamas terror organization. Supports the work of Tony Blair and his global spiritualization movement. Supports the “Catholics Come Home” campaign. In spite of photo evidence, denied his involvement in King’s Way, a bridge-building movement with Muslims at Saddleback. As part of the P.E.A.C.E. plan, his top missions pastor was photographed teaching that Muslims don’t have to convert to Christianity to be saved. Created the The Daniel Plan: God’s Prescription for Your Health to get the folks at Saddleback Church healthy. To create his alleged biblical plan, he elicited the aid of unbelievers — Dr. Mehmet Oz., a Sufi Muslim, Dr. Mark Hyman, a secular Jew and New Ager, and Dr. Daniel Amen, a professing Christian who dabbles in Eastern mysticism. Promoter of the problematic The Bible, Son of God and A.D. miniseries, and packaged church sermons and video Bible studies. Gathered with the Pope at the Vatican, along with Russell Moore, Muslims and Mormons to promote unity around family issues. Rick Warren and musician Elton John at senate hearing on global health programs.